Heavy Duty Long Bottom Bucket with Teeth. 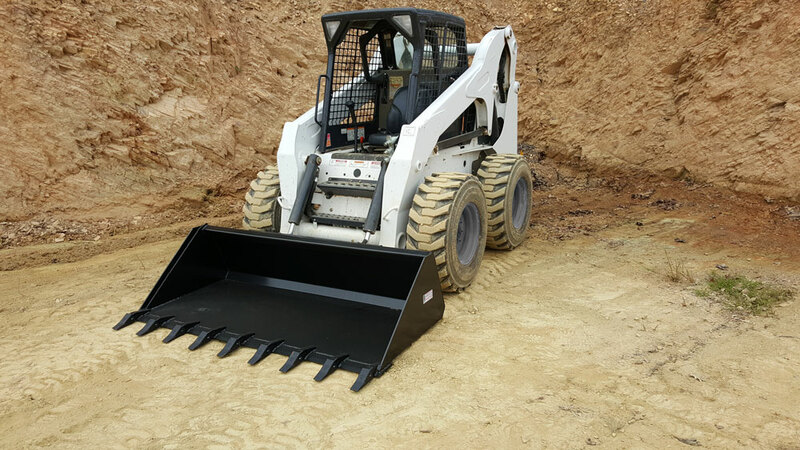 American Attachments heavy duty long bottom bucket with teeth is designed for machines up to 65 hp. 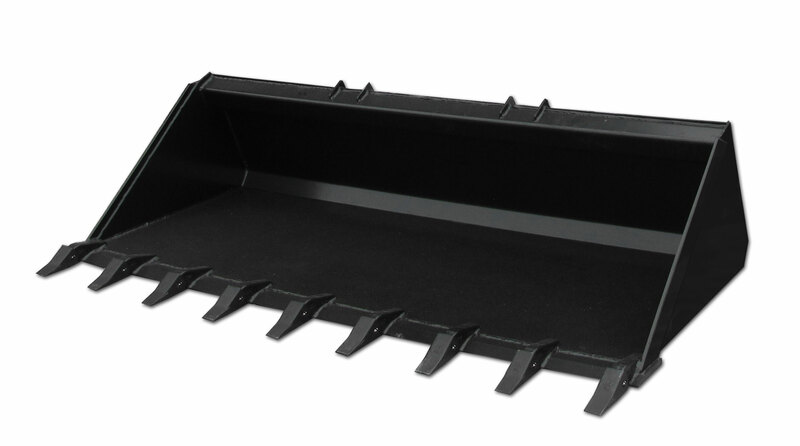 What makes our heavy duty long bottom bucket with teeth different from our Heavy Duty Low Profile Bucket With Teeth is the length of the bottom of the bucket. Our long bottom buckets measure 35.19″ from the back of the bucket to the front of the cutting edge. Whereas our low profile buckets only measure 29.40″. That makes our long bottom buckets almost 6″ longer allowing the user a better view of the cutting edge and the ability to carry more material than our low profile buckets. Heavy Duty Long Bottom Bucket with Teeth Specs. • 3/16” formed C in top of bucket. • 3/4” x 6” edge. • 3/8” x 3” wear bars. Heavy Duty Long Bottom Bucket with Teeth Sizes.